Nova's Toilet Support Rails will keep you safe and stable in the bathroom. Cushioned, easy to clean foam armrests provide stability when sitting and rising, and the frame bolts directly to the toilet for added safety. 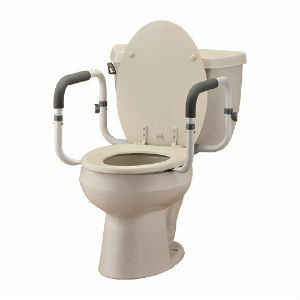 Adjusts to fit standard and elongated toilets. - Width between arms 16.5" - 19.5"